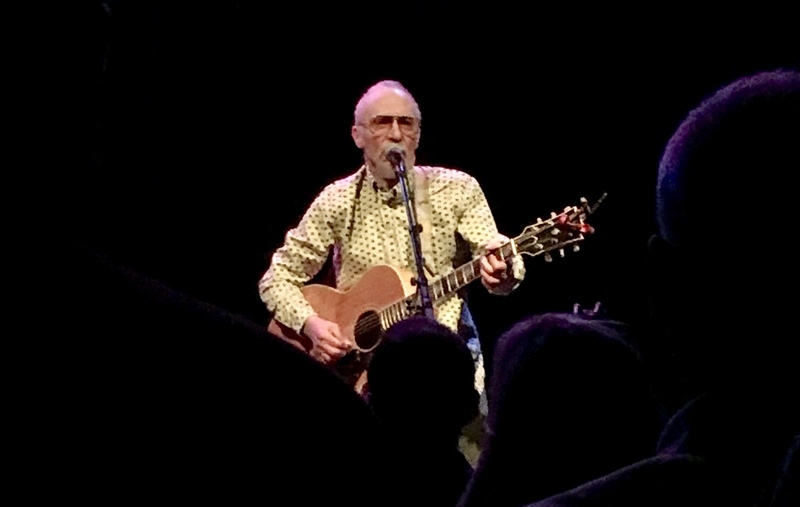 Last night at the Sellersville Theater in Sellersville, Pa., Graham Parker delivered an exemplary set that featured many of his best songs, including “Stick to Me,” “Heat Treatment,” “Discovering Japan” and “White Honey.” His sardonic sense of humor was on full display, too – his intros were often as funny, if not funnier, than routines delivered by stand-up comedians. Accompanying him: Brinsley Schwarz – as in the guitarist, not the band. 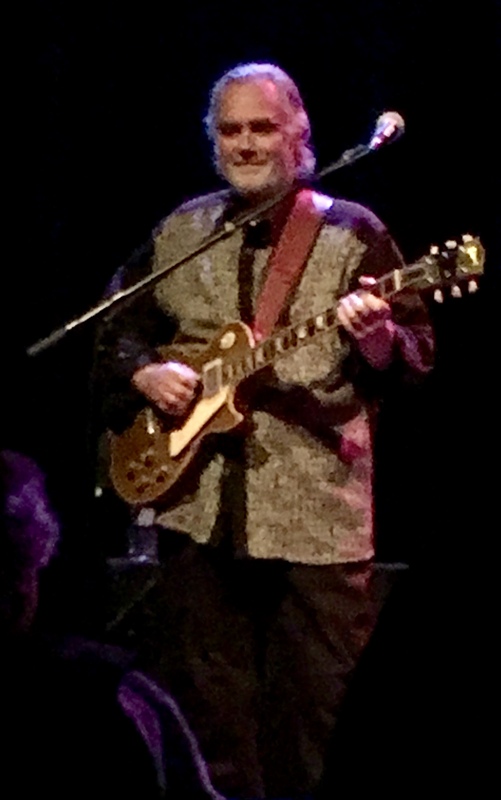 The longtime Parker sideman, who plays in the Rumour, handled electric guitar most of the night, and shined on his one excursion into the spotlight with “You Miss Again,” a song from his 2016 solo album Unexpected. Parker, for his part, played acoustic guitar. Back to Parker’s intros: One of the funnier bits centered on the Sellersville Theater. He praised it, as it’s a great place with wonderful acoustics, and mentioned that he was impressed with many of the acts they book. “But what’s with all the cover bands?” he gibed. “The Almost Queens? !” (An actual “tribute” band, from what I just discovered.) He added, dry as can be, that he once saw an Oasis cover band and found it more enjoyable than the real thing: the faux Liam and Noel weren’t butting heads. Ah, the things we rock fans find amusing. I’d love to share a video of that or any intro, as well as several of the night’s songs, but taking pictures and “any recording of any kind” were strictly prohibited. Even if not, although we had excellent seats, two rather large shadows (i.e., the people in front of me) would have made it nearly impossible – as evidenced by the few pictures I snapped during the show’s last songs. Anyway, I could and probably should delve deeper into the night’s specific highs – such as “Don’t Let It Break You Down,” when he integrated snippets of other songs, including the Velvet Underground’s “Sweet Jane” and the Beatles’ “Here Comes the Sun,” into it – but, honestly, there’s no point. For me, it was a good/great show. But Diane and our friend Luanne, who are both longer (and much more rabid) fans than I, were absolutely enthralled. They both raved about it – and about meeting Graham afterwards – on the ride home. 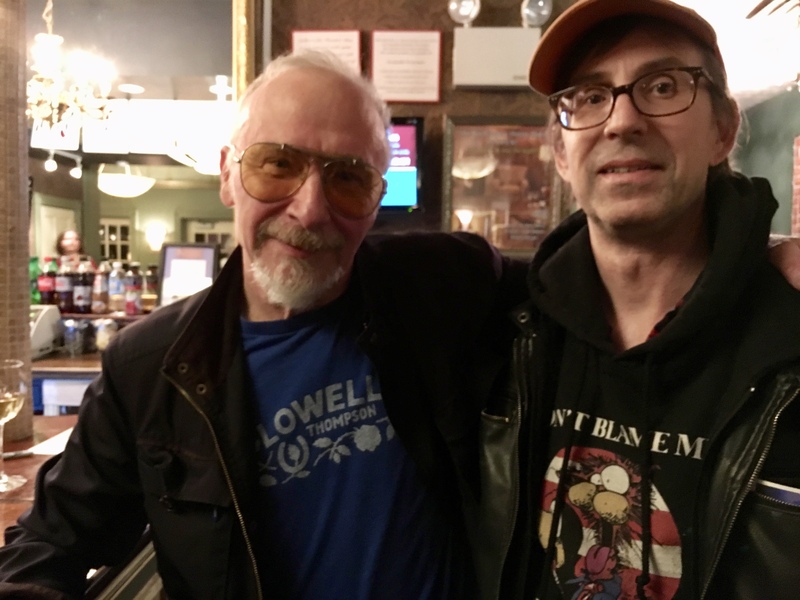 I hasten to add, about this last picture: My de-facto casual weekend garb since the 2016 election includes my “Don’t Blame Me, I Voted for Bill & Opus” hoodie that I picked up…last spring, I believe, after seeing an advertisement for it on Facebook. When out and about on chilly days and nights, it and my faux-leather jacket keep me warm – and, too, sends a subtle political message. But I also was not expecting to pose for pictures with Juliana, Courtney and Graham in succession…especially since I’ve only posed with one other artist, Rumer, in all my years of concert-going. Longtime Parker fan here. Saw him once at the Masonic Temple opening for Tin Lizzy. I was sitting right behind Rob Tyner and his son. Tyner was the lead singer for the great MC5.